Suwano-machi (諏訪町) in Nagasaki. The temple in the back is Koeizan Choshoji Temple (光栄山長照寺). Mt. Kazagashira (風頭山) is in the background. A lone water pump and gas lamp are on the right. 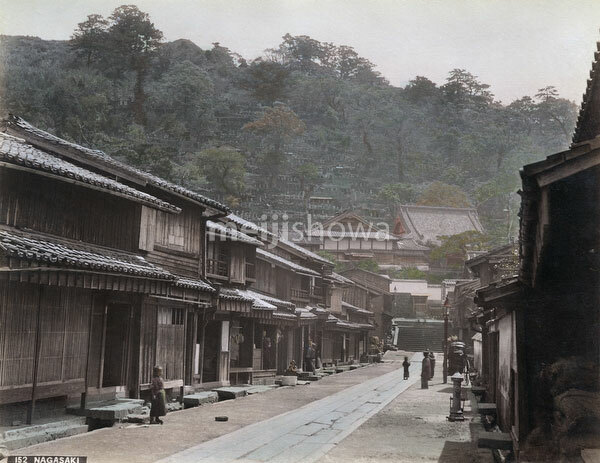 Photographed between 1887 (Meiji 20) and 1892 (Meiji 25).